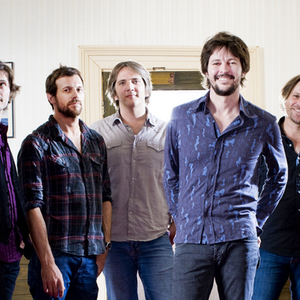 Powderfinger were a rock band from Brisbane, Australia. Formed in 1989, the band managed to keep the same line up since they hit the big time, Bernard Fanning (Vocals, guitars), Darren Middleton (guitars), Ian Haug (guitars), John Collins (Bass) and Jon Coghill (drums). Powderfinger are winners of nearly every major award in Australia ? including the ARIA (Australian Record Industry Awards) for Album of the Year, Best Rock Album and Song of the Year. Formed in 1989, the band managed to keep the same line up since they hit the big time, Bernard Fanning (Vocals, guitars), Darren Middleton (guitars), Ian Haug (guitars), John Collins (Bass) and Jon Coghill (drums). Powderfinger are winners of nearly every major award in Australia ? including the ARIA (Australian Record Industry Awards) for Album of the Year, Best Rock Album and Song of the Year. Their musical style changed significantly over the years from a predominantly Grunge influenced one (Parables for Wooden Ears, Double Allergic) to their own brand of Alternative Rock on the following albums Internationalist and Odyssey Number 5. Several songs on Vulture street were in tribute to classic rock bands like Led Zeppelin and AC/DC and Songs on Dream Days at the Hotel Existence feature a prominent Neil Young influence- to whom they owe their band name from his song of the same name. The band released seven studio albums and a greatest hits album, Fingerprints - The Best of Powderfinger 1994-2000, in 2004. Their final album, Golden Rule, was released in late 2009. Despite their popularity in Australia, Powderfinger never achieved similar success overseas. They toured with Silverchair on the "Across the Great Divide" Concert, from August to October 2007, trying to raise awareness of the indigenous people of Australia. With the completion of our last album, Golden Rule, we feel that we have said all that we want to say as a musical group. We firmly believe that it is our most complete and satisfying album and can't think of a better way to farewell our fans than with music that we all believe in and also with, hopefully, our best tour to date.